Previous ArticleWhich Yorkshire town are you? Since deposit protection was introduced in 2007, the inventory has become a crucial part of the check in and check out process. Landlords are understandably concerned with keeping costs under control and some believe they can save money by carrying out the inventory themselves. However, too many still don’t understand the level of detail that should be included and that the onus is on them – not the tenants - to prove the condition and contents of the property at the start of the tenancy in the case of any dispute. According to the Tenancy Deposit Scheme’s 2016-17 annual report in just over 61% of all disputes, the deposit was split between the landlord and tenant. For insured deposits (representing over 99% of total disputes) a full award was made to the landlord in more than a quarter of cases. And the two biggest reasons for a dispute are cleaning and damage, both of which can be fairly easily proven one way or the other by a comprehensive inventory report. Missing information. A full inventory for a one-bedroom flat can easily run to 20 pages and landlords who are not familiar with the level of detail required in order for the report to be watertight could find they don’t have the evidence to support their claim if there is a dispute over the deposit. Incorrect terminology. The level of wear and tear, standard and condition of the fabric of the property, décor or furnishings has to be detailed accurately and is relatively subjective. The benefit of using a professional inventory clerk is that they are trained to categorise condition to a universal standard, so there is less likely to be a dispute. Accusation of bias. If a tenant disagrees with the landlord, they may say they didn’t understand what was meant by something on the inventory, claim it wasn’t properly explained to them, or say they weren’t given time to check it properly. If it then becomes the landlord’s word over the tenants, the landlord could lose the dispute. In all these cases, making a mistake on the inventory could mean the difference between being able to retain enough of the deposit to cover the cost of any damage or theft, and having to foot the bill yourself. What is the professional inventory process? Making a full inventory at the start of the tenancy. The report should include a written description of the fabric, décor and contents of the property, inside and out, along with photographs of each room, particularly noting any wear and tear. Check in, taking time to explain clearly to the tenant what is considered ‘fair wear and tear’ and what is considered damage. They will show the tenant how everything works in the property and leave the report with them for a few days, so they can look at it properly and raise any queries. The tenant should sign the report once they are happy with it and return a copy to the agent. Check out. Ideally, this should be carried out by the same clerk who prepared the initial inventory – preferably with the tenant present. They can then discuss any issues with the condition of the property and its contents that might cause the landlord/agent to withhold some or all of their deposit. If the tenant is not in agreement, the matter can be discussed there and then. Importantly, professional clerks are trained to know what’s ‘fair wear and tear’ so using them for check out avoids wasting time on unnecessary disputes. If you have a full-management service, your agent should be able to arrange the inventory and an independent check-in and check-out. 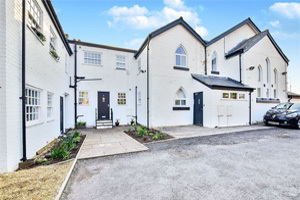 At Reeds Rains, we employ independent specialists that are local to the property according to the location and size of the property, and whether it’s furnished or unfurnished. If you would like any more information or advice on professional inventories, please contact us and one of the team will be happy to help. Find your local Reeds Rains branch.